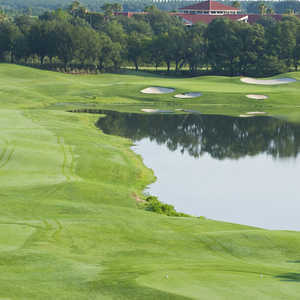 Orange County National, the 45-hole golf mecca in the Orlando area, exemplifies public golf. So it should come as no surprise that the readers of Golf World and Golf Digest magazines selected Orange County National's Panther Lake Course as not only the top public golf course in Florida, but the second best public venue in the country. 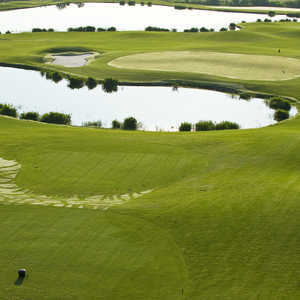 Panther Lake at Orange County National is the second best public golf course in the country, according to a reader poll. 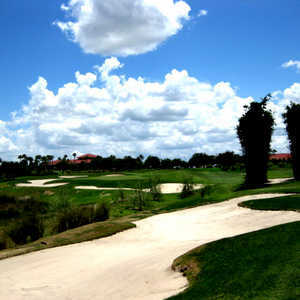 Golf courses in Winter Garden, Fla. The only golf course to rank higher than Orange County National is Forest Dunes Golf Club in Roscommon, Mich., which came in at No. 1 on the list of the 2010 Golf World Readers' Choice Rankings: The Top 50 Public Golf Courses in America. Orange County National is one of four Florida golf courses on the list. The TPC Tampa in Lutz came in at No. 13; Victoria Hills Golf Club in Deland was 41st, and Harmony (Fla.) Golf Preserve ranked 45th. Why is Orange County National so revered? Because it's about golf and pretty much only golf. As a perennial site of the PGA Tour Qualifying School, the Panther Lake Course, the original and perhaps slightly easier of the two championship layouts at Orange County National, really is course that can challenge every level. Designed by Phil Ritson and Dave Harman (with input from Isao Aoki), this par 72 can play to nearly 7,400 yards. But if you play the right tees, it isn't overwhelming. The landscape is scenic with elevation changes, plenty of lakes and white bunkers in an outstanding design. More than anything, though, Orange County National (which also includes the longer Crooked Cat course and the Tooth nine-hole course) is always in superb condition. Green fees are reasonable, and you won't encounter a home anywhere near the golf course. Practice facilities and clubhouse are as good as you'll find anywhere. In fact, the gigantic circular range regularly hosts some of the biggest golf club demo days in the country. The TPC Tampa Bay, host of the Champions Tour's Outback Steakhouse Pro-Am, is a great place to test your game. Designed by Bobby Weed with input from Chi Chi Rodriguez, is routed around natural wetlands, trees and lots of water hazards. This 6,898-yard par 71 is one of only two courses in the Tampa Bay area to be designated as an Audubon Cooperative Sanctuary. Victoria Hills Golf Club is a Ron Garl design more reminiscent of Carolina golf perhaps than Florida courses. Created by the St. Joe Co., this Central Florida course is routed among gently rolling hills through hundreds of oak and pine trees. There are also plenty of lakes and superb greens on this 7,149-yard par 72. Another Central Florida course, Harmony Golf Preserve just south of Orlando, could be one of the most scenic courses in Florida. The course is situated between two 500-acre lakes, towering pines and acres of meadowland with absolutely homes. Designed by Johnny Miller, the course winds around wetlands and water hazards and is home to diverse animal and plant life, including at least one kind of rare orchid. Amenities are also terrific and include an 18,000-square foot clubhouse.